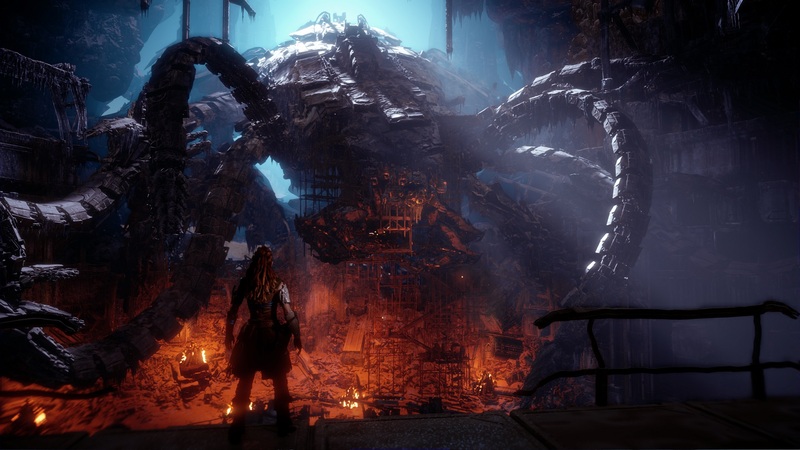 Horizon Zero Dawn, the soon to be released PlayStation 4 exclusive open world game developed by Guerilla, looked great since its original reveal, and now that the game is in the hands of several players, we know that the game still looks great in its final version. Like most recently released games, Horizon Zero Dawn comes with PlayStation 4 Pro enhancements, which are highlighted in a new comparison video. The Horizon Zero Dawn PS4 / PS4 Pro comparison video, shared by Arekkz Gaming, highlights the PlayStation 4 Pro improvements, which look massive. You can check out the video below. Those preferring smoother frame rate are also in for some very welcome news. Earlier today, industry insider thuway revealed on the NeoGAF forums that a small day zero patch will be released for the game, adding a Performance mode promising smoother frame rate on PlayStation 4 Pro, as well as higher visual fidelity in the 1080p mode. Plenty of details on Horizon Zero Dawn emerged online last week thanks to a few players who managed to purchase early copies of the game. According to these reports, the game’s performance is solid and the challenge level quite forgiving on the normal difficulty setting. Stealth also plays a big role in the game, but it’s not mandatory. Horizon Zero Dawn launches on February 28th exclusively on PlayStation 4.